Abyss Defiant is a Legendary primary auto rifle. 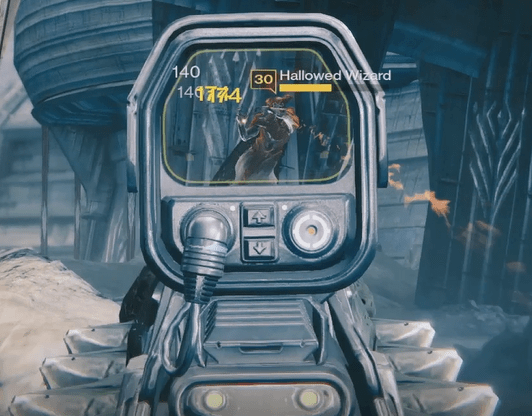 This weapon can only be acquired by defeating Crota on Hard Mode. The good: Balanced stats, Focused Fire. The bad: Lich Bane & Hive Disruptor can’t be used in PvP. Conclusion: Amazing PvE auto rifle, with Focused Fire it’s great for PvP too. 50% quicker switch speed & 10% quicker movement speed when ADS. Abyss Defiant, the only Solar auto rifle, is a real threat in PvE and is a worthy alternative for SUROS Regime. Exclusively obtained from the level 33 difficulty of Crota’s End, it has a chance of dropping from the Bridge encounter. On paper its stats are similar to the vendor alternatives, For The People, Do Gooder V, and Up For Anything. In the Crucible, either of those could preform just as well. So what sets Abyss Defiant apart from the rest? Lets find out! Abyss Defiant has very balanced stats compared to its Legendary alternatives, just as the Fang of Ir Yût did. It’s one of the few elemental primary weapons, and the only auto rifle that will rip through Wizards like a butter knife because of Solar damage and Lich Bane. Wizards will be disoriented after a few seconds of continuous fire and will react in the same way that they do to a Titan’s Flashbang grenade. Lich Bane will last for 5 seconds and will activate 1-2 times per magazine. Its rate of fire and Impact is shared not only by For The People, Do Gooder V, and Up For Anything, but also Hard Light and Monte Carlo. While zoomed in with the Focused Fire perk active, a full 31 round magazine can be emptied in 5.5 seconds. While zoomed in without Focused Fire, a full magazine can be emptied in 3 seconds. 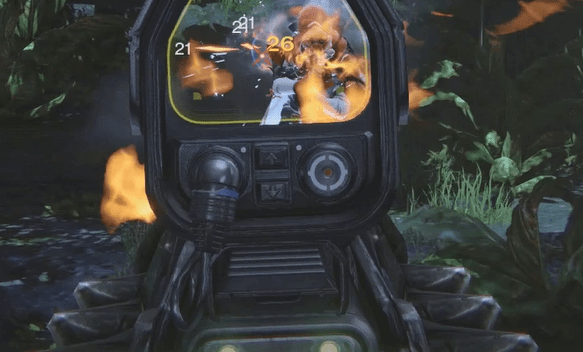 Using Focused Fire will allow you to do roughly 35% more damage, albeit at a slower pace (similar to SUROS Regime). As stated above, Abyss Defiant‘s Impact is shared by many of the other auto rifles, sitting right in the middle between the lowest (2) and the highest (28). While it would have been awesome to have it increased just slightly, using Focused Fire helps out and makes up for it. While using Hip Fire, tier 1 enemies will take 105 damage to the body and critical shots will deal 261 damage. With Focused Fire, doing 35% more damage, tier 1 enemies will take 105 damage to the body and 348 to the head. Its range is average, trumped by For The People and Up For Anything, but just by a small margin. If you find you need additional range, just use the Red Dot-ORS scope. Coupling that scope with Perfect Balance is probably going to be your best bet, since you get the range+stability with that combination. Stability is again, average, also lower than For The People and Up For Anything. For maximum stability you’ll want to use the Red Dot-OAS scope. Obviously it might take some getting used to if you’re accustomed to the higher stability auto rifles, but once you unlock Perfect Balance, it’s really not bad at all. What Abyss Defiant does excel at is reload speed, 1.7 seconds with its default QuickDraw IS scope. The base speed is only barely beaten by Hard Light. It’s got the fastest base reload speed of any Legendary auto rifle. 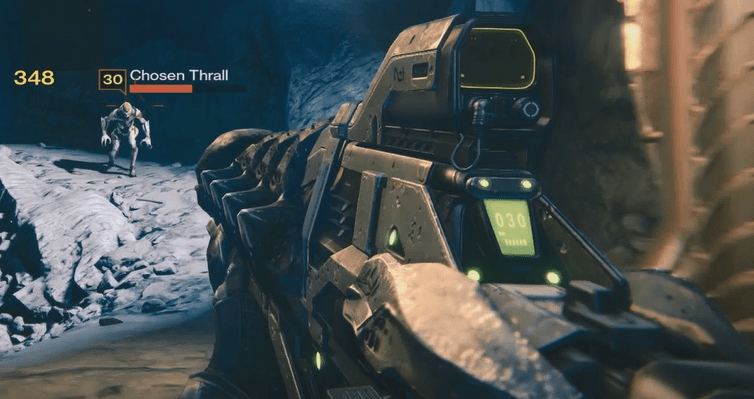 As with each of the Crota’s End raid weapons, Hive Disruptor will provide about 400 additional damage to Hive Majors., making it much more powerful in Crota’s End. Abyss Defiant has OK perks, but they’re better for PvE content. In PvP, Lich Bane, Hive Disruptor, and Solar damage are totally worthless. It’s not a bad weapon to use in PvP, but it’s certainly going to serve you best in PvE. As mentioned above, many of the vendor alternatives have similar stats, and if you’re lucky enough to get perks like Field Scout, Third Eye, Counterbalance, or Hammer Forged, those weapons would do better in PvP. Abyss Defiant‘s saving grace is the ability to focus fire, which very few auto rifles have. Hip Fire, though some may appreciate it, shouldn’t be used over Focused Fire unless you’re in close quarters. Single Point Sling and Lightweight both are OK perks, but really not worth using. High Caliber Rounds or Snapshot would have been much better choices, but Perfect Balance is the clear winner for most circumstances. Speaking of Perfect Balance, even with it, the recoil pattern veers to the right. Because of the low range, its recoil is even more of a pain, but it’s definitely not as bad as Payback SOS. Once you’ve played a few games with it, you’ll adjust it accordingly. All in all, while not the best choice for use in the Crucible, it’s an amazing auto rifle for PvE. There’s no better feeling than destroying Wizards with this weapon. It’s a contender for best PvE auto rifle along with Atheon’s Epilogue, and for those who prefer the a slower rate of fire, it could easily hold the crown. Compared to the other raid weapons, the perks aren’t stellar, but we do recommend upgrading it fully. For PvP this weapon earns a 8.5/10 and for PvE a 9.2/10.